1) This is based on searching for e-/retailers within the UK only. 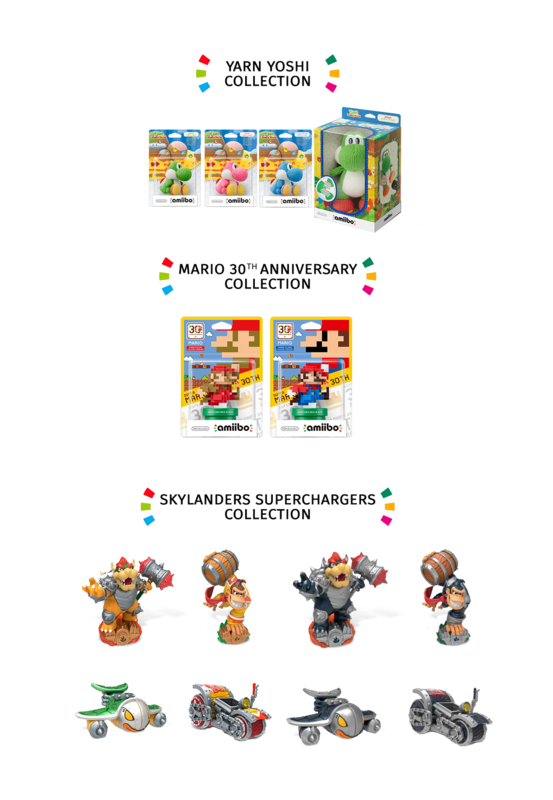 Other information: Frequently putting Amiibos on low price deals. They do home delivery. They let you search other stores stock. Other information: They do home delivery. They let you search other stores stock. Other information: They do home delivery. They let you search other stores stock. They do click and collect. Other information: They do home delivery. They do click and collect. Other information: They do home delivery. Other places you may have not expected that are generally meh and random but are still worth checking. 1) When checking online at places like Toys R Us, it's worth ringing them as their website is never accurate. I've often found the website saying that Amiibos are in stock when they aren't or that Amiibos aren't in stock when they are. 2) When checking online at places like Toys R Us, Argos and GAME, make sure to use your post code to search for local stores but also use post codes from further away places and ask if anyone can get one for you. 3) Personally I travel to the stores regardless of what online stock says. 4) Argos have a very good system in place in their stores which let you check the availability of an item throughout all of the UK. 5) When checking online...don't use eBay or Amazon. Because the other thread moves very fast and it's very difficult to have a conversation about UK and European stock without being drowned out by American voices, at the request of a few users I've made a EU/UK Amiibo thread. As always, please be civil and let's all do our best to help one another get all the children's toys we want. Also Shopto is still banned but I suggest putting the site up there as well. Posted this in the previous thread but I was in Argos earlier and was told that their central warehouse lists the current wave as shipping March 4th. The website will allow reserving for in store pick up from that date, with expected delivery to stores by the 9th. Had my first retail adventure today. Met three guys hunting for Shulk & co today. They snatched up both of the available Shulks and the DeDeDe's at the store. But I found two more Shulks at another store and bought the better looking one. Wave 3B (I call it Wave 4) is definitely a problem one for Europe for once. Online retailers can't keep up with them at all, no matter if they only ship domestically or export to overseas. I put Shopto in originally but then remembered it was banned and removed it. I'll put it in, but not as a hyperlink. Does anyone know where I can get a Captain Falcon in the UK? My original order got lost in the post at Christmas. If not, does anyone know if there will be a restock any time soon? The store I work at had one Sonic in and it was a preorder. Any tips for where to hunt out a Shulk or is he a pipe dream at this point? Had a preorder and Gamestop cancelled it. I would say avoid gameseek, pre-ordered King Dedede with them and Rosalina, both are still listed as 'pre-order' and they just keep putting back the release date. Sent them an email and they just said they aren't sure when stock will be in. If that's the case then don't take pre-orders you can't fulfil! From what I've seen Wave 3B has plenty of Mega Man and Sonic. Both stores I went to were drowning on them. btw, OP: UK = part of EU. aww I'll edit it with a non-transparent version. As pretty as it is, I guess mobile functionality is more important. Yeah if you put a hyperlink it'll be censored but just put it up as non link, I mean they were banned for a reason but it's one of the "reliable-ish" sites for Amiibo orders/preorders especially since they shipped them in boxes now. Just a mention: as of yesterday (19/02) ToysRUs UK and Tesco Direct both sent an email stating the Rosalina in the UK and Ireland have been discontinued. Shock. I'm very aware. We like to think of ourselves as important enough to be considered separate though. Also being in the UK myself my knowledge is far greater of UK stock, so the clarification is there because I'll need others' help on listing EU online retailers and such. Well yeah, but I'm on mobile. I guess some won't be happy about this thread but I think it makes lots of sense. We'll see. If it gets no use, there'll be no Thread 2. If it does, well then it was worth it! 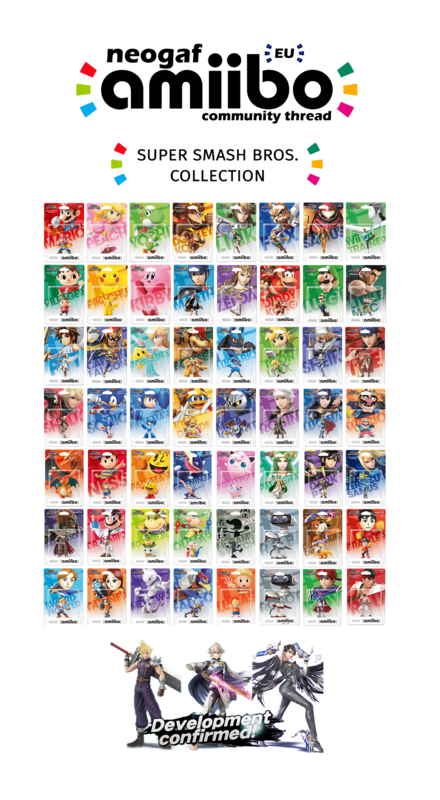 Feels good to have wave 4 already pre-ordered. The next nerve wracking part will be Greeninja, Mario Collection Wario, Palutena, ZSS and Olimar when they get announced. just add a stroke effect with a white outline. looks less ugly than a white background. It sold out in the pre-order phase. I got a chuckle from the thread title. Looking to score some Dedede. Anybody know where he at? Also I have no idea if anybody knows but Amazon UK has Wii Fit Trainer for £12.99. I feel like this amiibo business would be better to get into later on rather than running with it real time. Then again I only want a few of them so it isn't like I'm in too deep. Then again I only want a few of them so it isn't like I'm in too deep. It''s very difficult to get amiibos here. I got then in Alcampo. 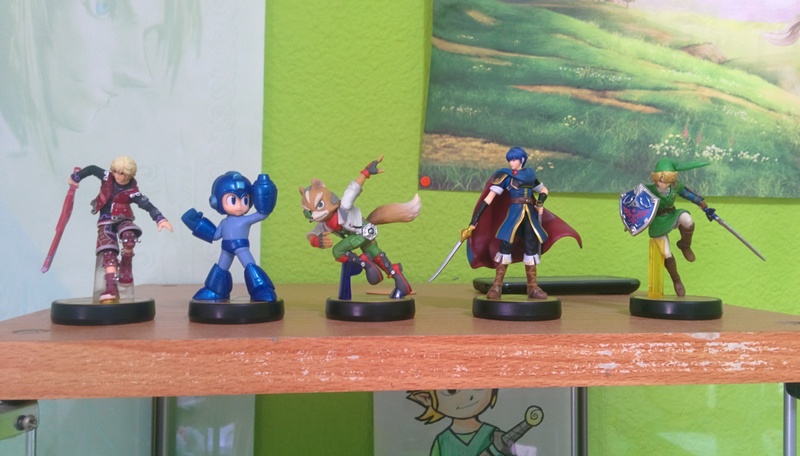 There were only 2-4 of each amiibo though. A friend told me that there are no shulks already. My (very small) collection now! I may get Duck Hunt and Toon Link maybe possibly but that's it. So.. 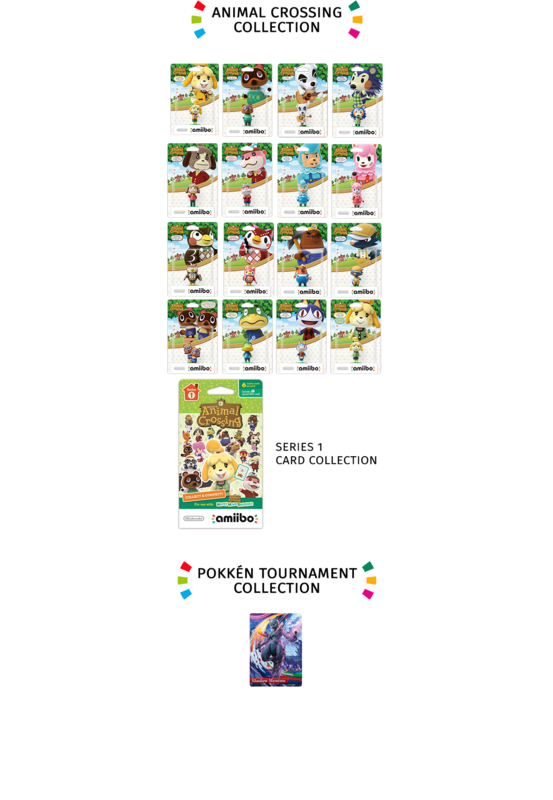 I have all of wave 1 and 2 except for villager and I don't want to pay more than 15. Am I screwed? I didn't even know dark theme worked on mobile. white theme then, but also becomed readible for dark theme users. That charizard amiibo will get me into the amiibo collecting. Damn it. I want a Shulk one because I like Xenoblade, even though I have no games the Amiibo will work with. I just want the model But all the eBay ones are ridiculous amounts of money for what is a relatively low quality figure. I have Marth... Went into Argos and Game today but they had no new ones. The latest wave were in the Argos system but they all said coming soon. Might try again tomorrow. Really want Meta Knight/Shulk/Dedede. Might as well post my most recent post from the other thread. Look who finally came today. 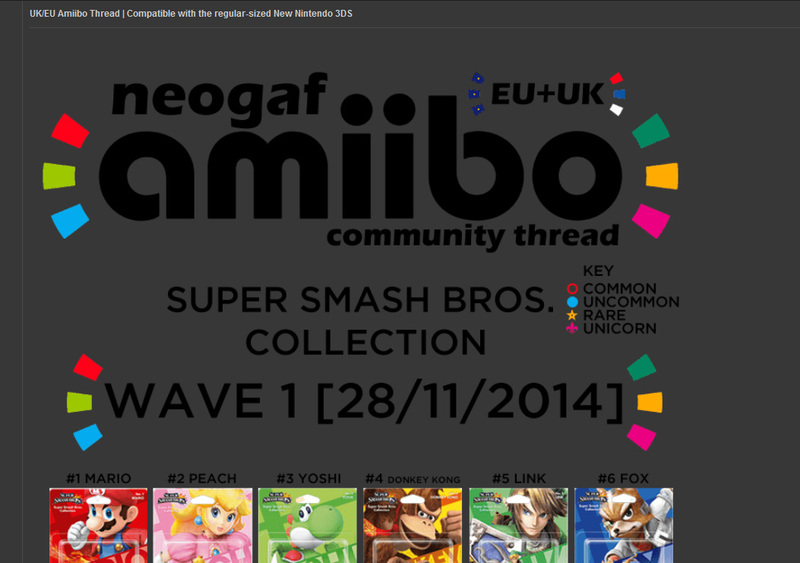 Ah yiss, our own EU Amiibo thread! Will post my latest finds here. lol, I am sure non-amiibo GAF will love another thread on the main page. Still, good to have this, nice OP! Anybody willing to help? Any packaging will do, mine are EU. Please? Feeling your pain. 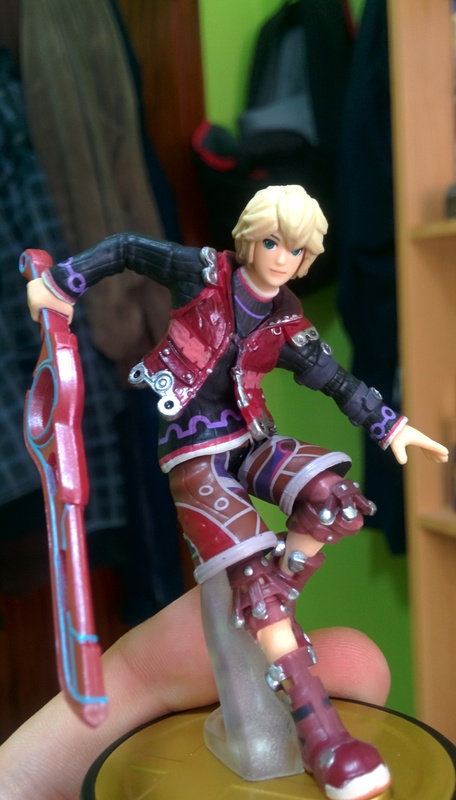 I just picked up my Shulk pre-order and they had a couple more of the rare ones (DDD, MK, Shulk) in stock. Hit me up if you are interested. Willing to trade for rare ones or sell at cost + shipping. I am in Germany. Good luck everyone. I heard reports that even the Nintendo UK webstore have cancelled Shulk pre-orders. 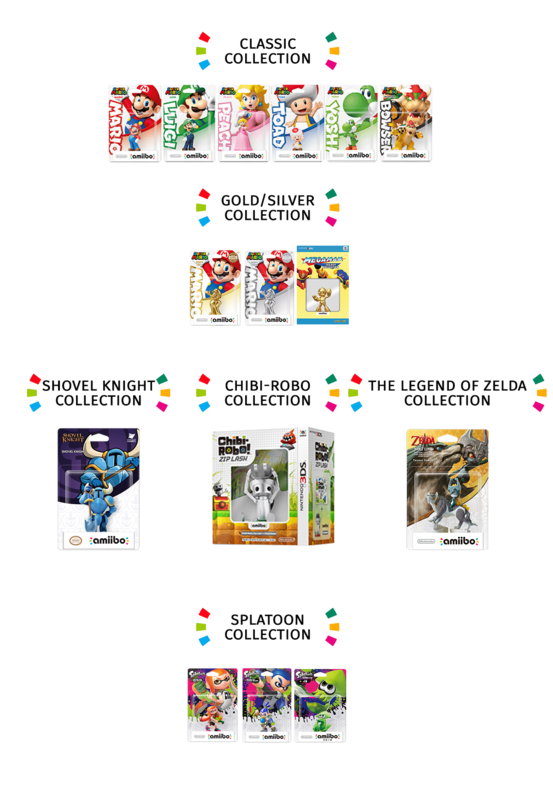 We have a rarity system for Amiibos now. World War III is going to start over these things. Checked out the few stores I could reasonably get to today before work to try and find shulk, unsurprisingly left empty handed. Well I guess if Nintendo doesn't want my money, I can always keep it. 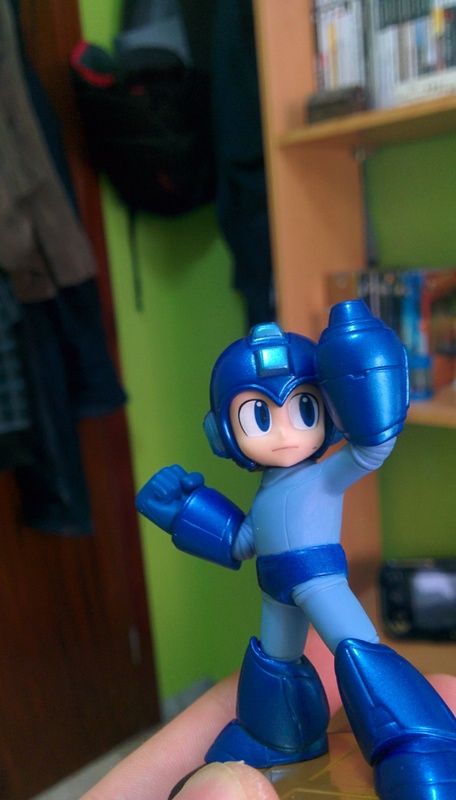 The megaman amiibo pictures earlier in this thread look darn good though. I guess It's not so surprising that hte ones that aren't trying to be realistic looking end up so much better. At least I got my preorders in at game that stupid small window for Robin/Lucina. It's incredibly infuriating that the two characters I want most are unicorns. (I like that rarity scale, haha). I could swim in Mega Mans today. They're not hard to find at all. From my experience I would rate WFT, Lucario and Toon Link as common. Sonic and Mega Man probably too, but it is too early. I'd downgrade Pit and Falcon to uncommon and upgrade Zelda to rare. Also I'd upgrade villager to Unicorn, but I guess he can still be found in some areas. Marth is kinda in-between uncommon and rare for me.